Here are 6 ways you can drive free traffic to your store so you can generate customers, We recommend using 3-5 of these methods SEO should be one of them regardless. Search engine results are the foundations for at least 70% of all online behaviour. Being able to know what moves a site up and down in the rankings is obviously a good trade to have, so learn the tricks of having a good SEO and your website will be working just how you need it to be. Write at least one blog. Write every day, everyday. You need to be able to write a post like this in 30 – 40 minutes, and it needs to be readable. Viewers don’t like things to be hard work, so write an easy reading piece and your followers will stick around. And know what people mean when they say “social media”. They really mean media. Recognise what makes it all tick, and how you can help someone co-operate with their audience in a meaningful way. Learn to build a house email list. Know what makes an email work or fail. This involves the creation and sharing of online material such as videos, blogs, and social media posts, that does not explicitly promote a brand but is intended to stimulate interest in its products or services. The stronger this skill is, the more interest you’ll get. This is simply another form of advertising in which business create 2-5 minutes short videos about specific topics using content from articles and other text sources. The videos are then uploaded to various video sharing websites like YouTube for distribution and exposure. This is a successful and helpful skill used by some of the top leading businesses. This enables users to search by speaking on a mobile phone or computer. This may mean that sites with the sort of content that answers common questions accurately and concisely are more likely to be the ones providing the answers to those questions. So making resources directly for customer use and searches will need to be provided bearing in mind of the latest form of search trend. Google Ads vs Facebook Ads: Which is better for your small business? 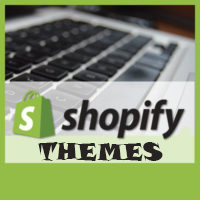 How to retarget people that visit your Shopify store? How to Celebrate April Fools’ Day on Your Online Store?